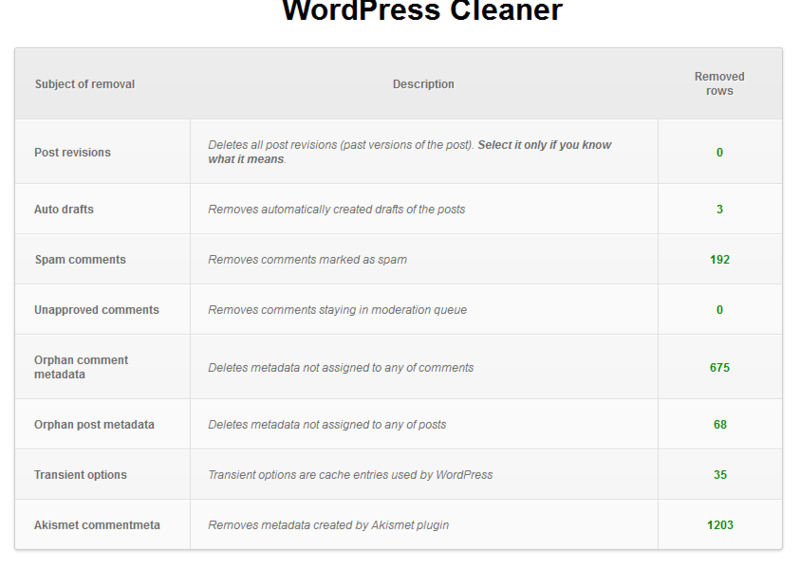 Back in the old days I've written a very simple script to remove posts' revisions from WordPress database. It was published on my GitHub, but it was broken due to syntax error in SQL query… and it was a good thing because it might actually remove important content from your database. Look how the script performs on production database of my website (using default settings). You can grab it from GitHub repository. Feedback and contributions are most certainly welcome!